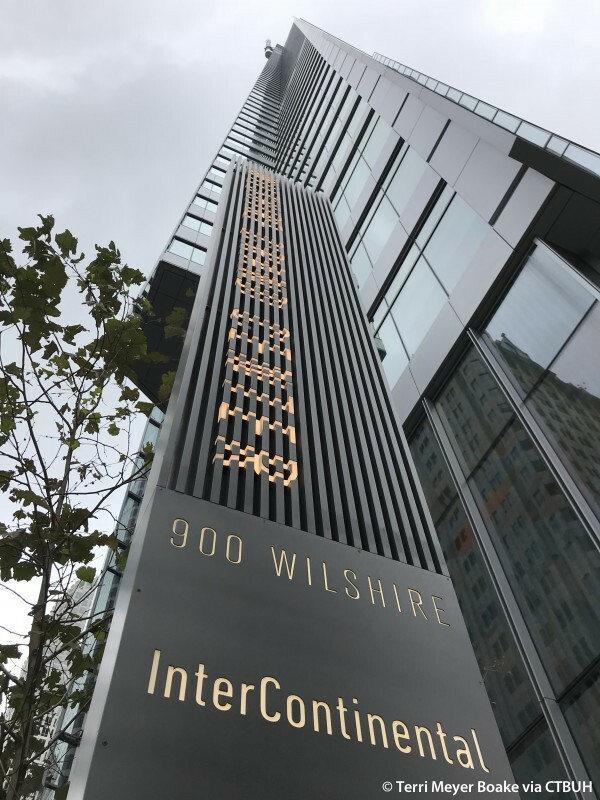 • Façade Benson Industries;	Heitmann & Associates, Inc.
• Food Service	 Cini-Little International Inc. 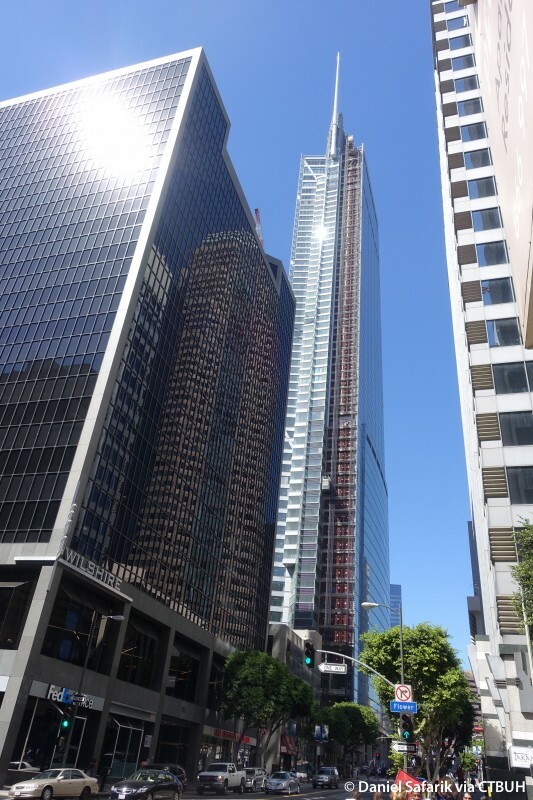 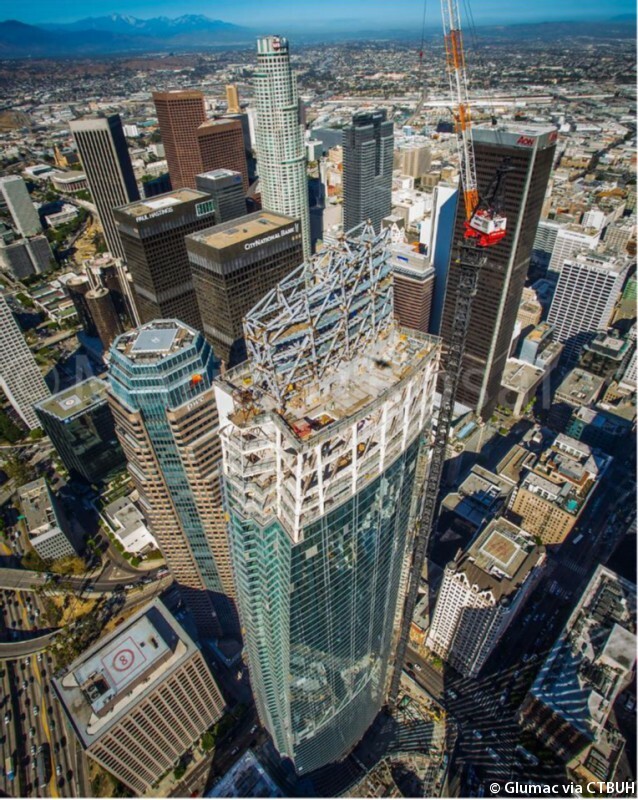 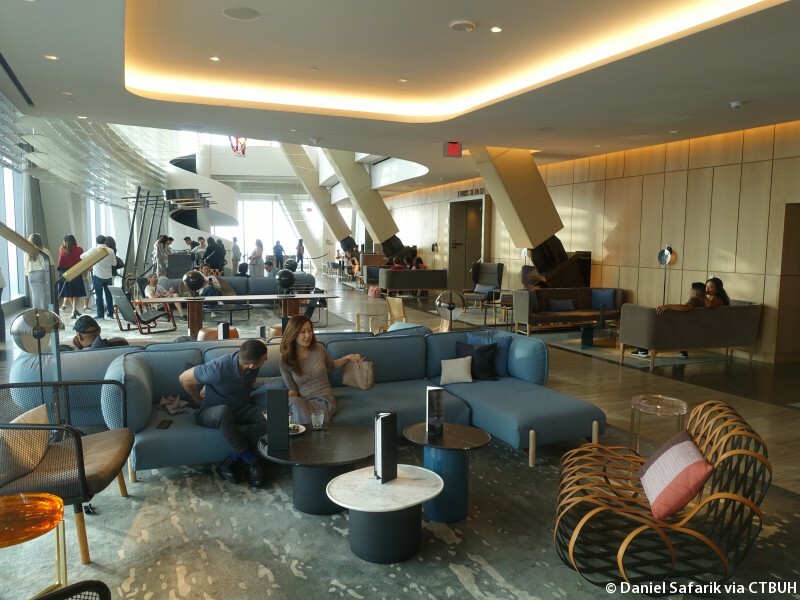 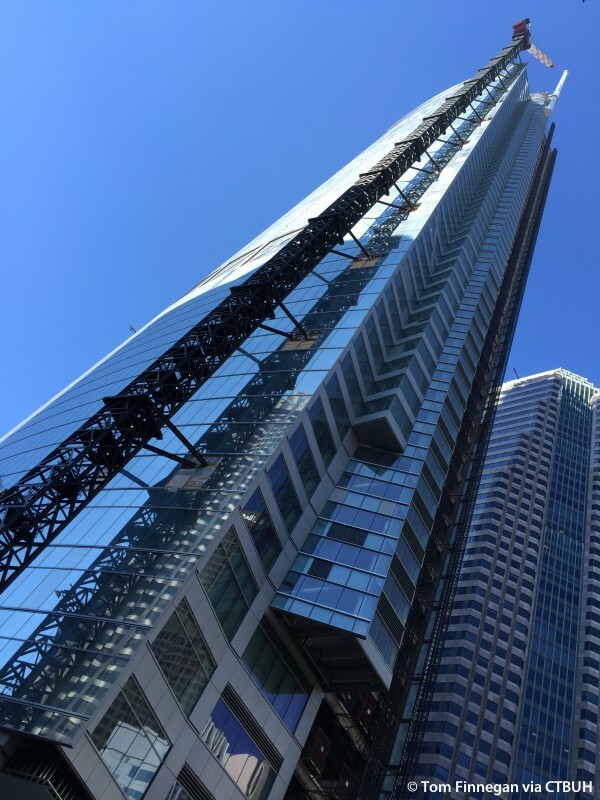 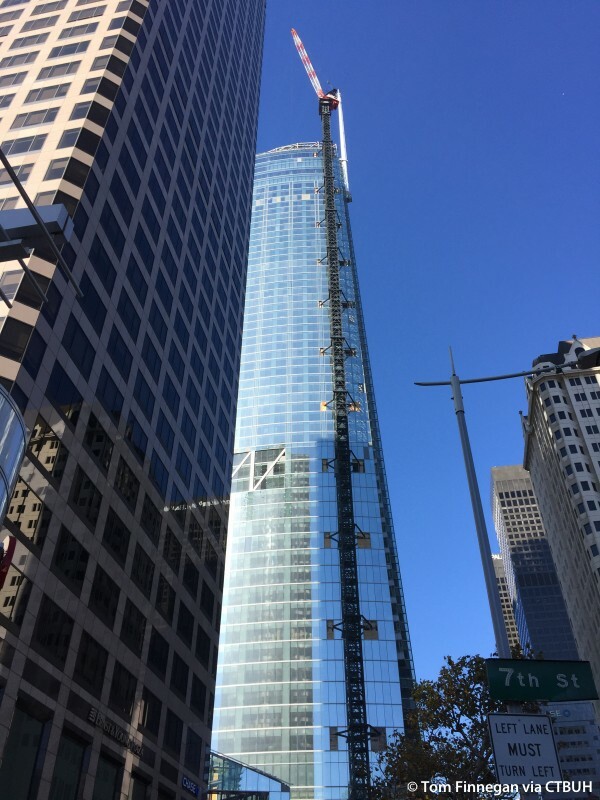 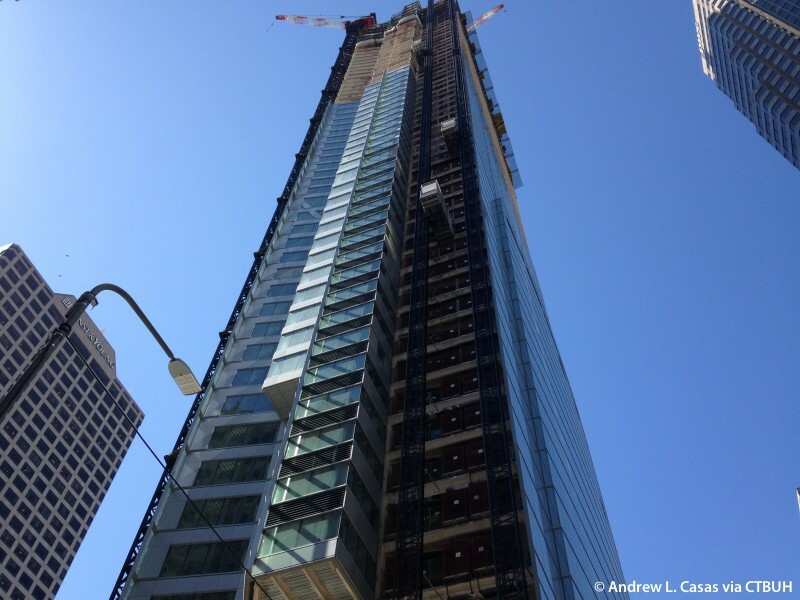 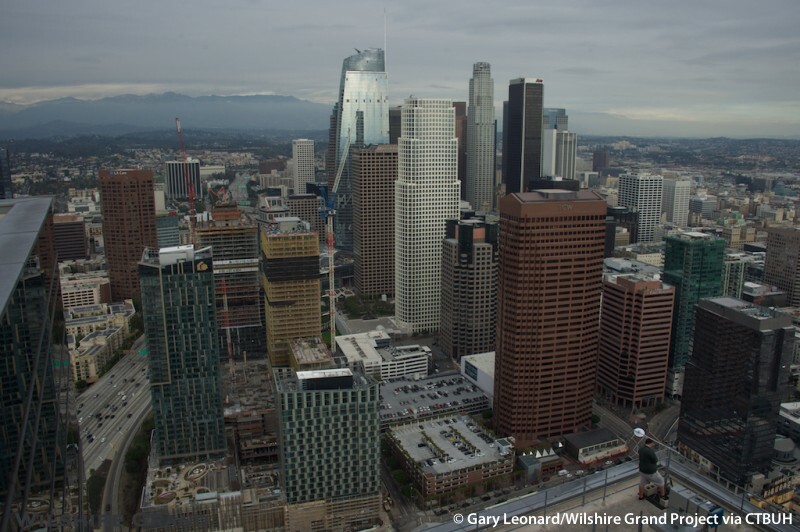 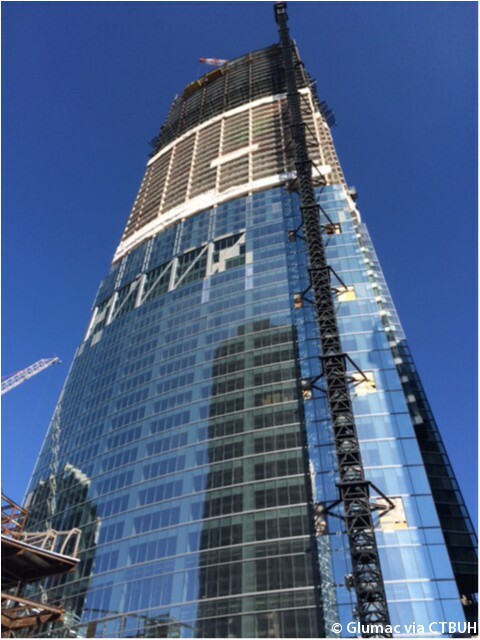 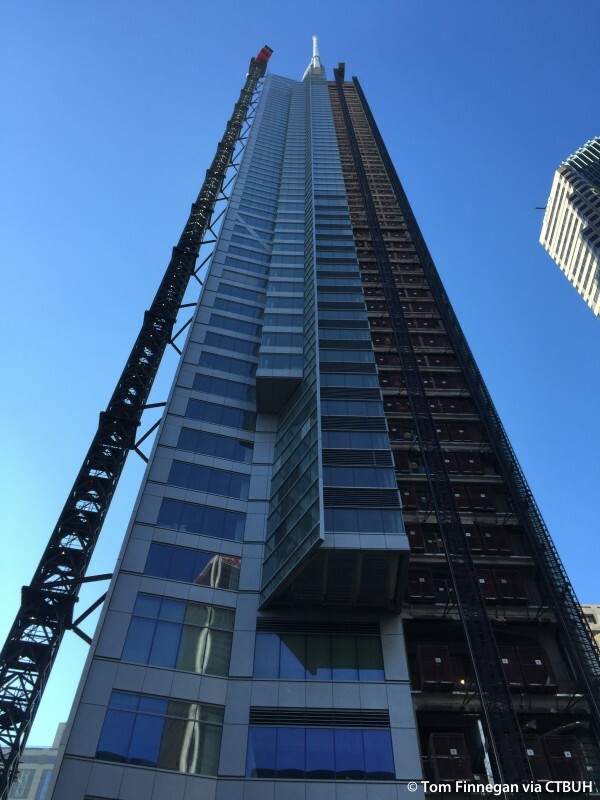 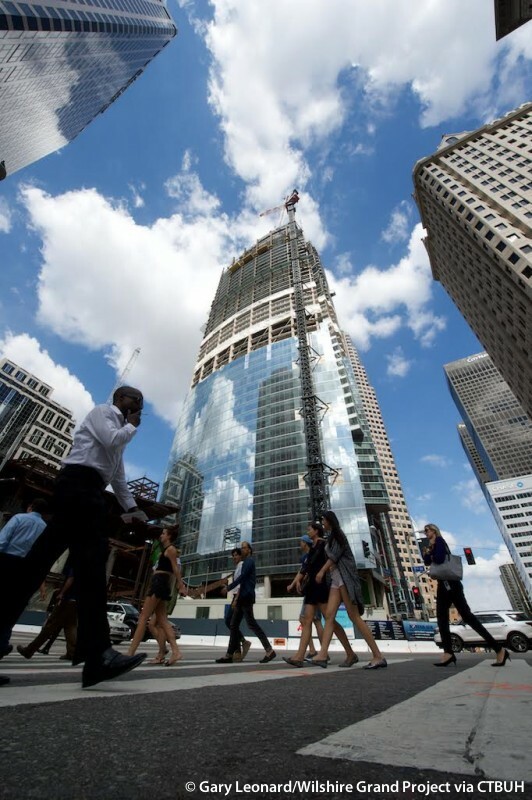 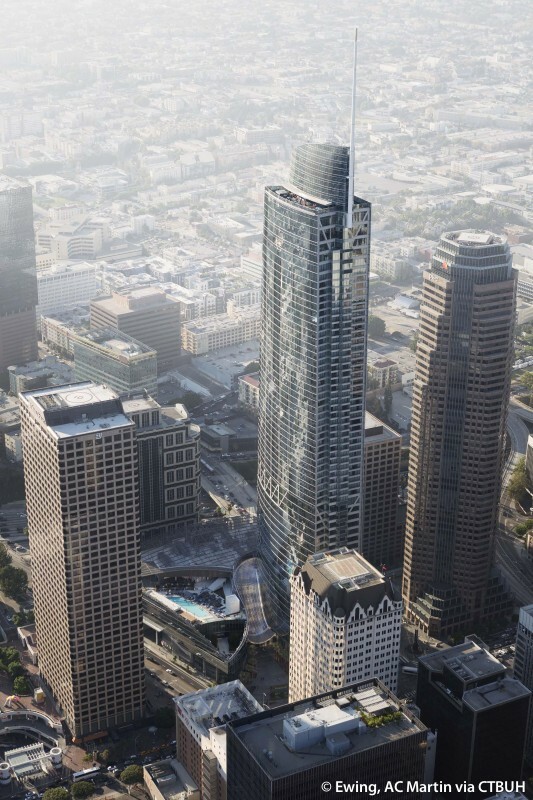 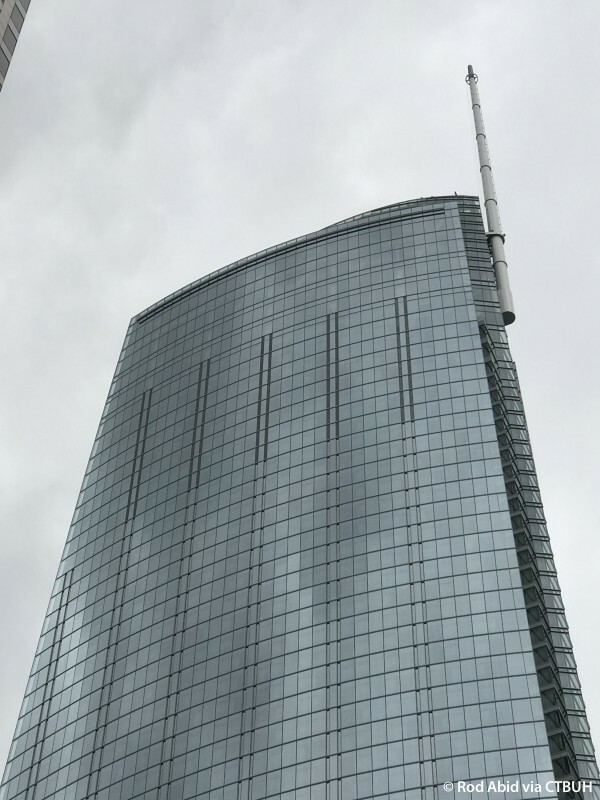 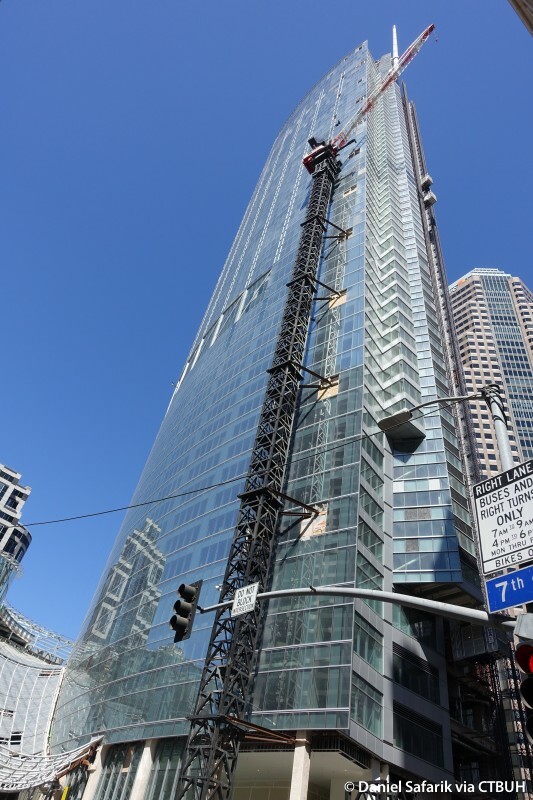 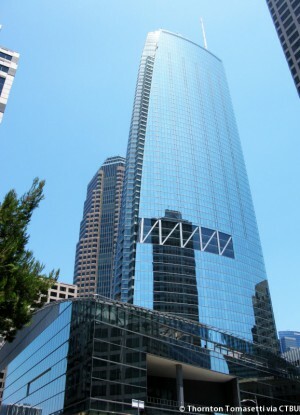 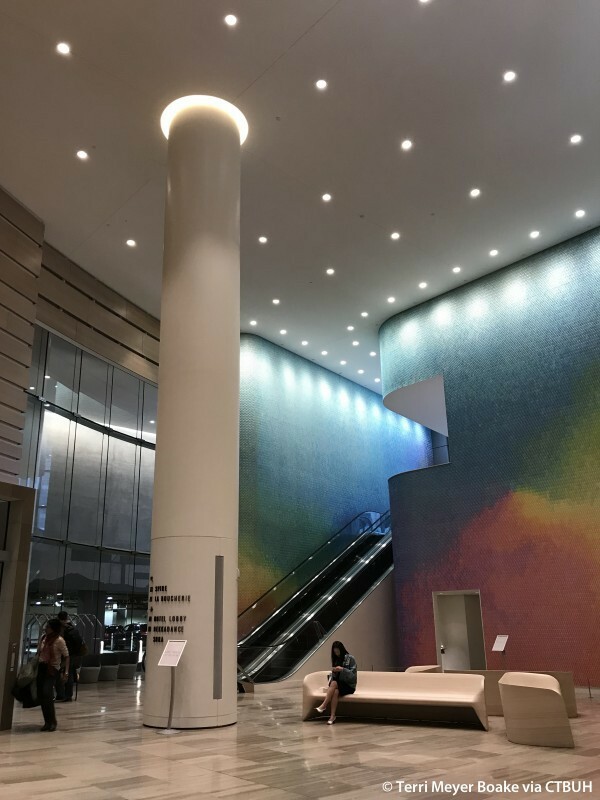 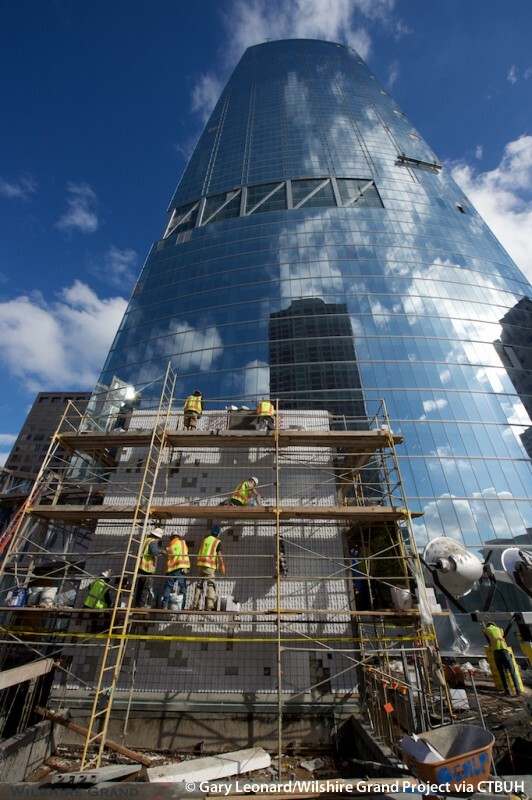 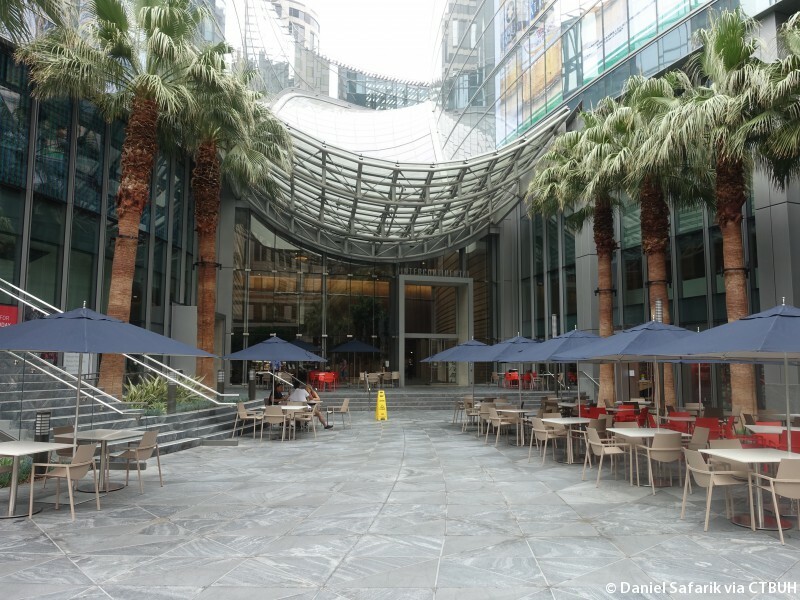 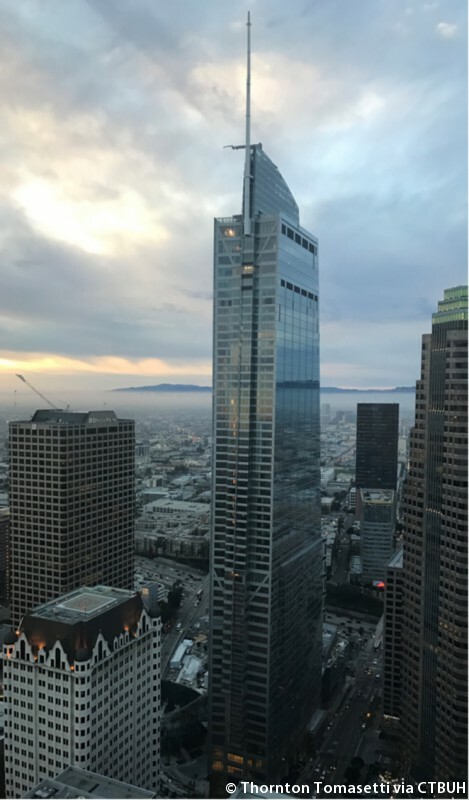 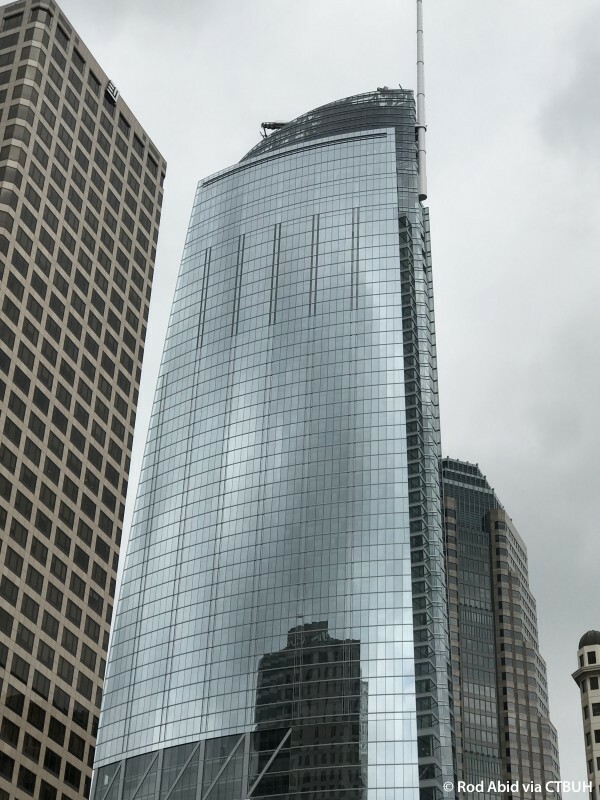 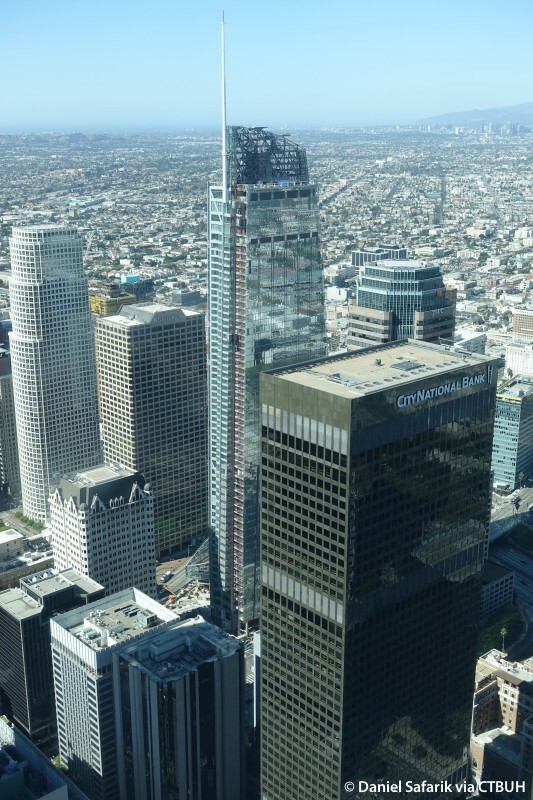 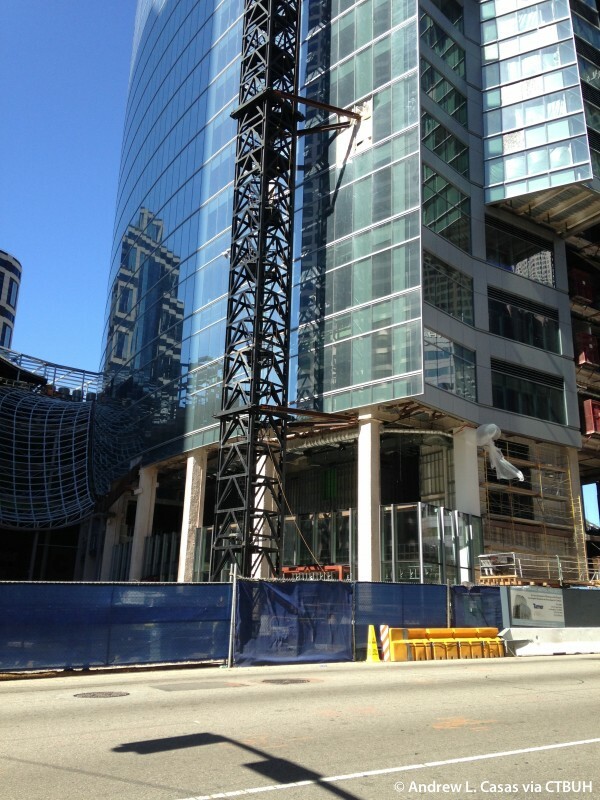 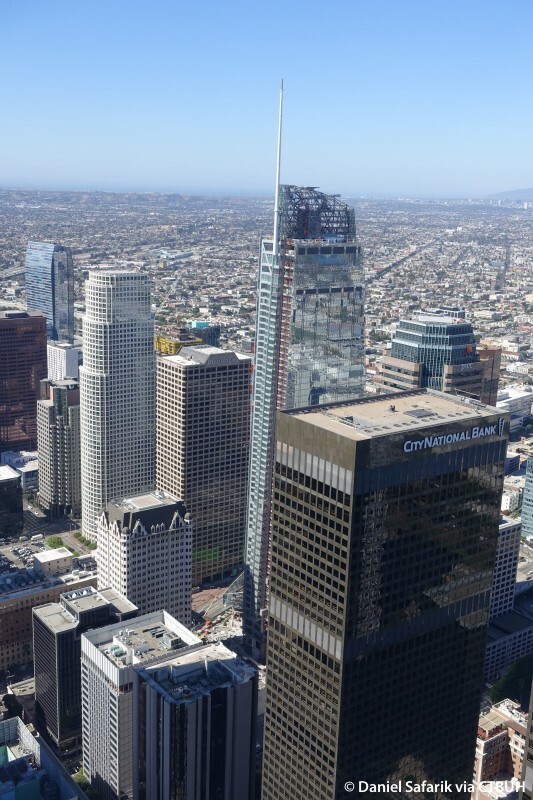 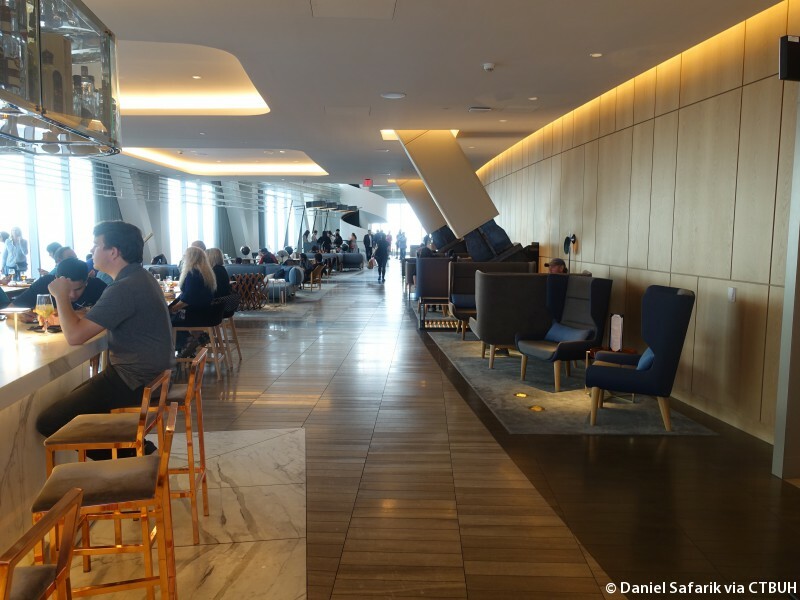 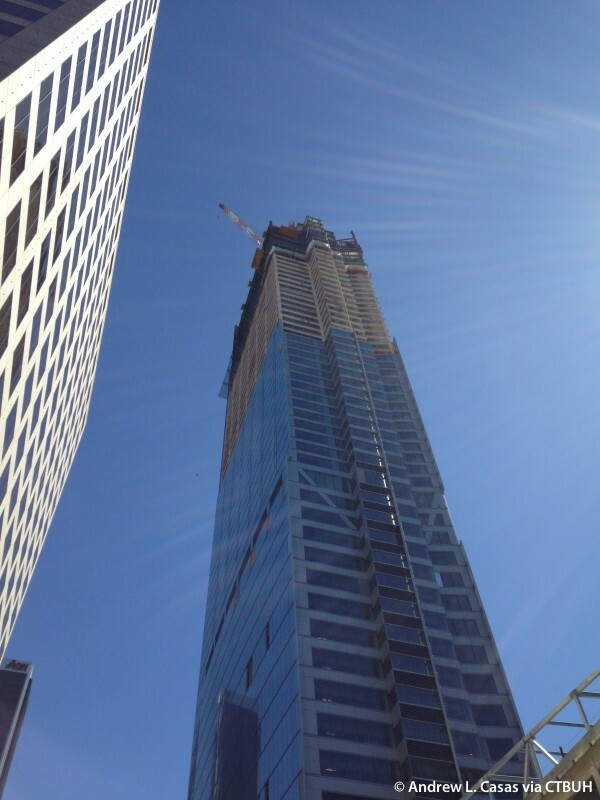 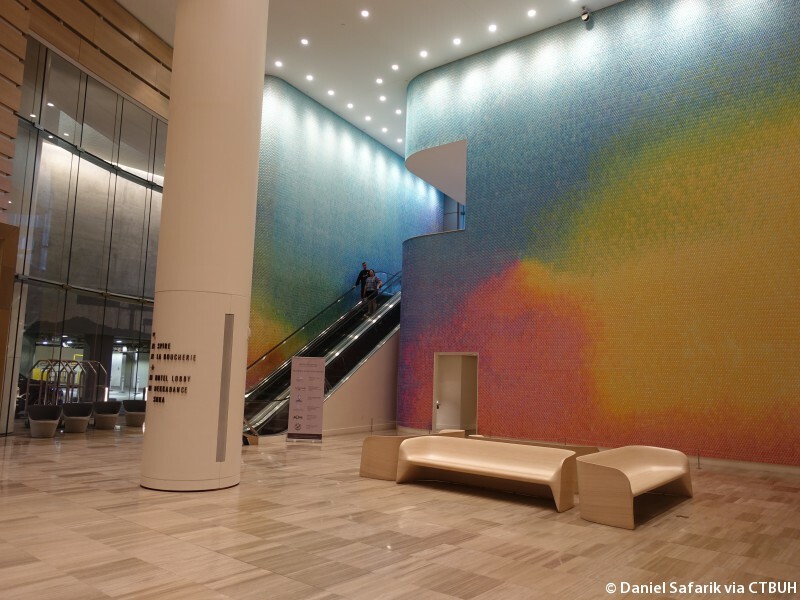 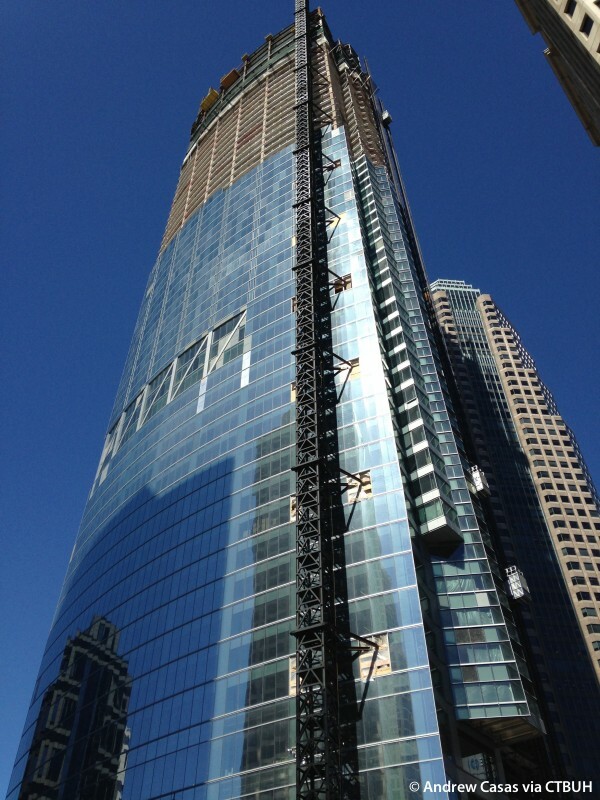 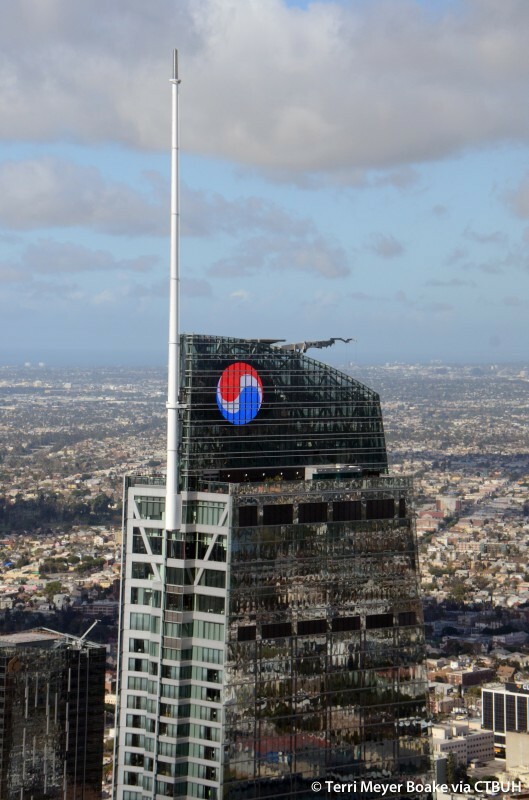 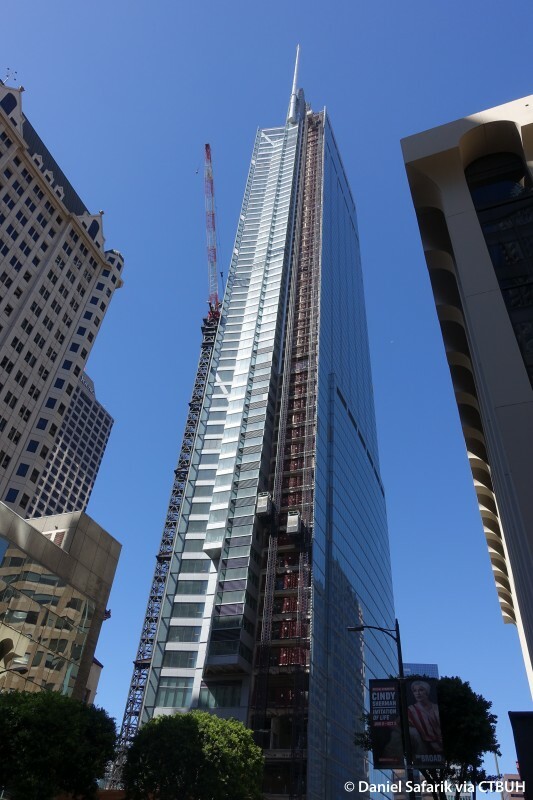 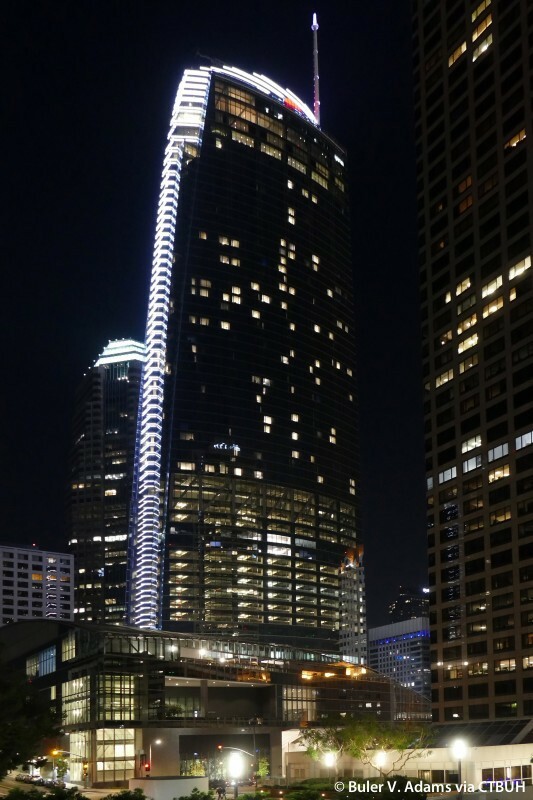 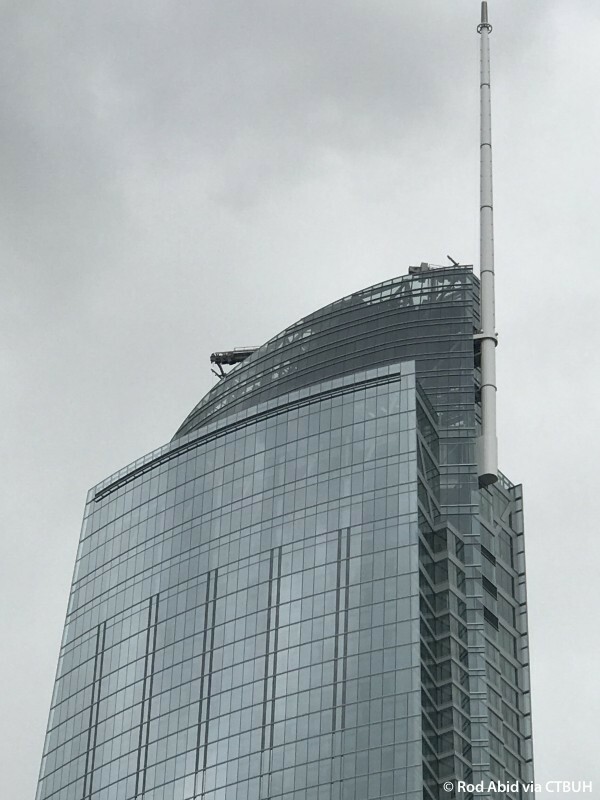 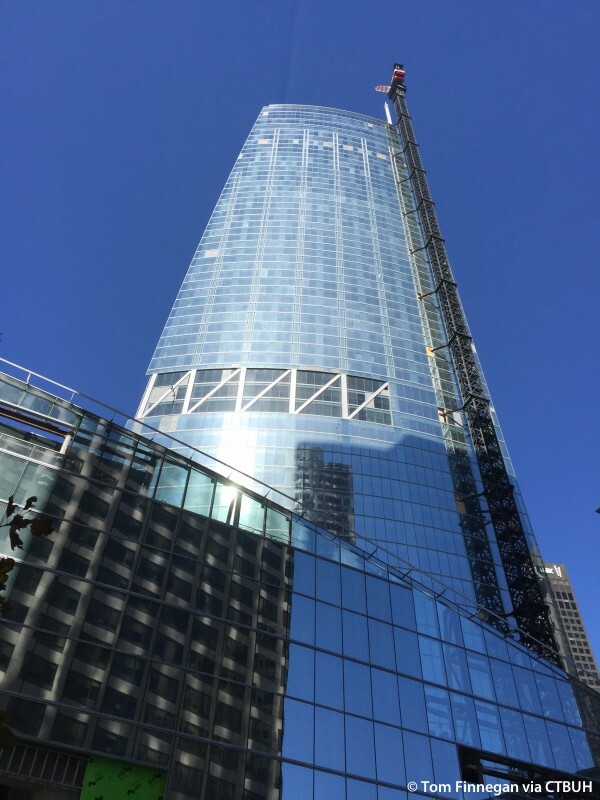 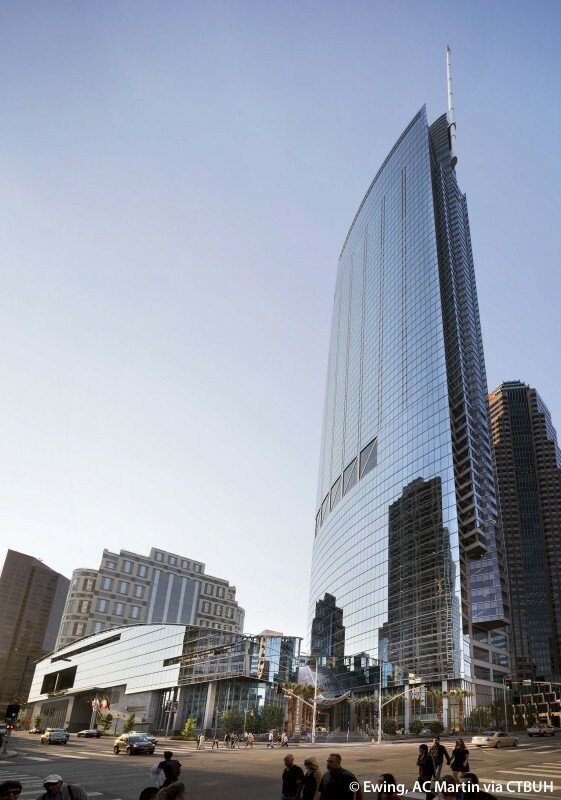 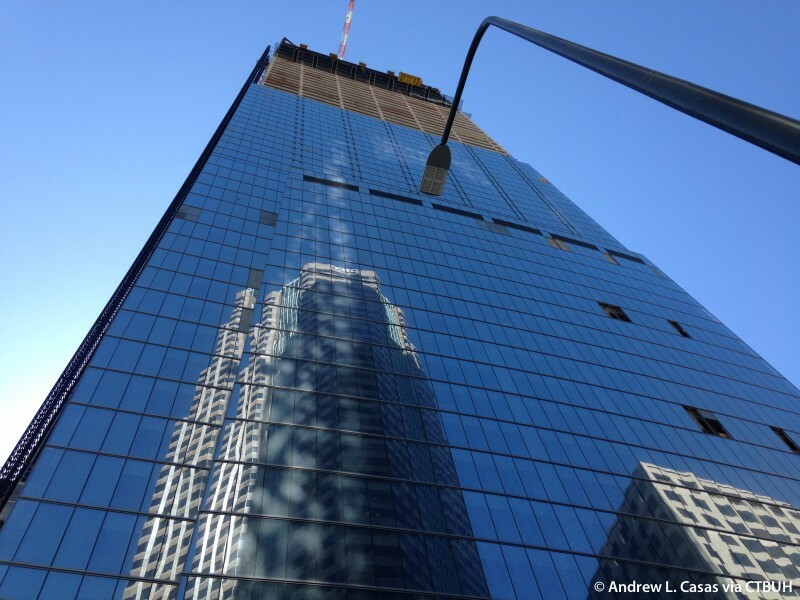 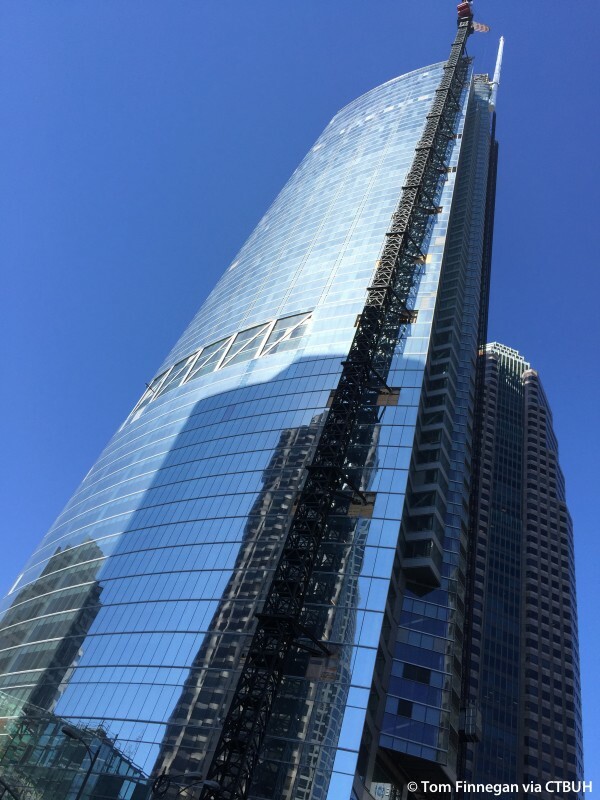 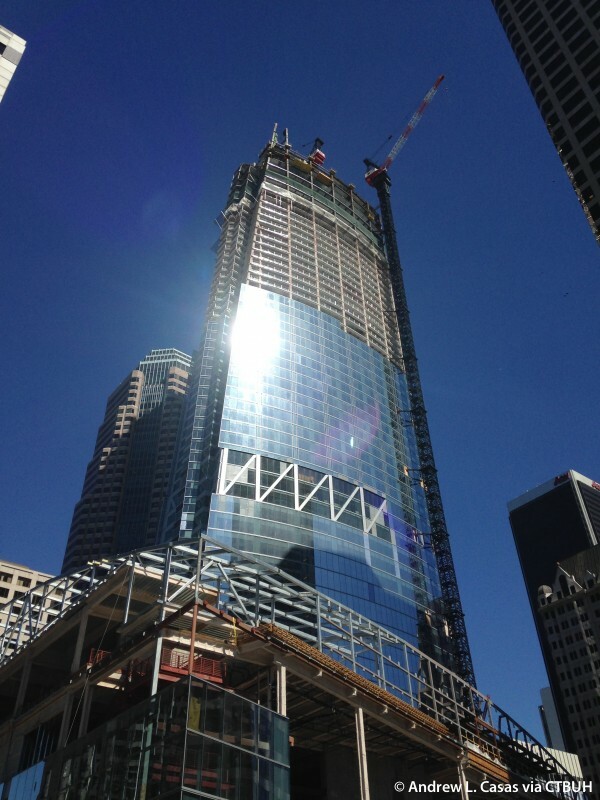 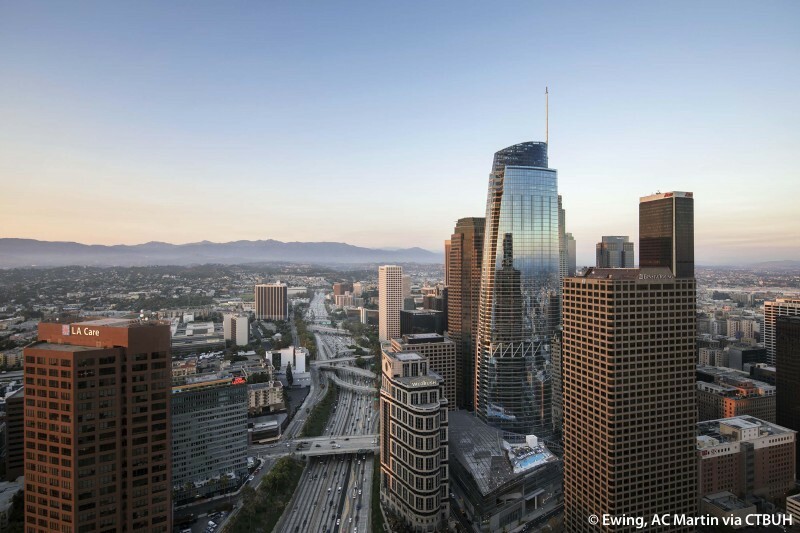 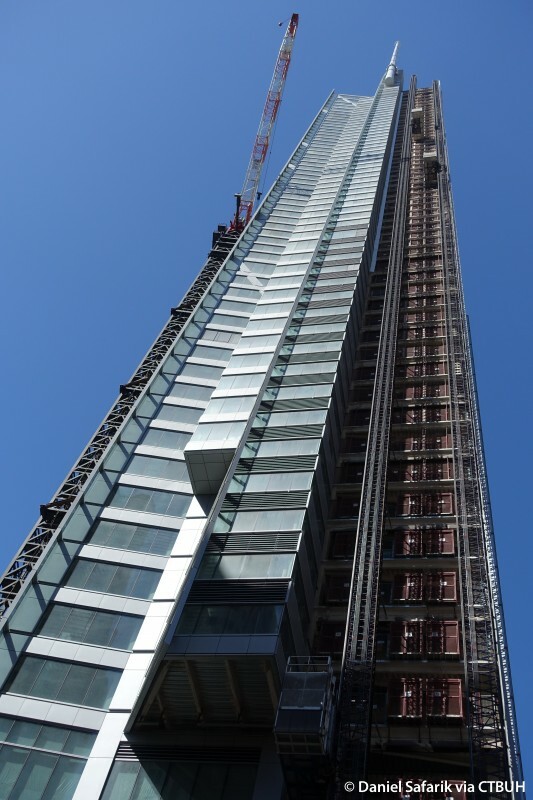 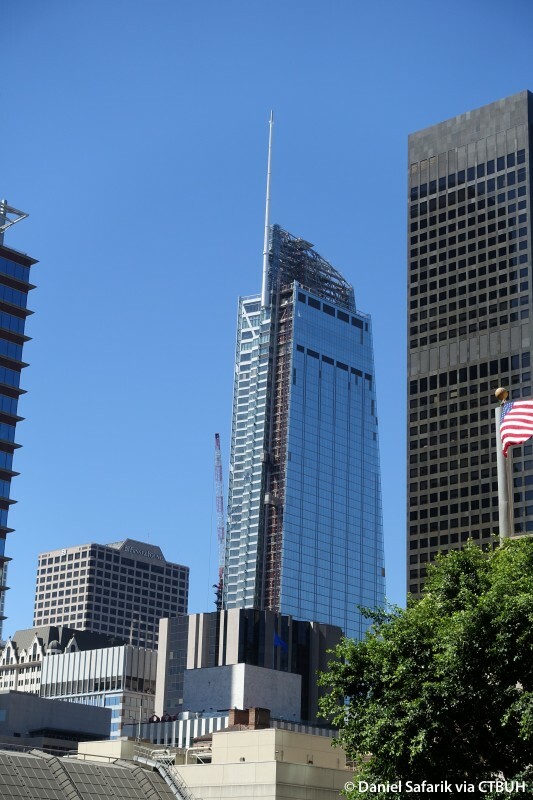 The Wilshire Grand Center marks a new era for tall buildings in Los Angeles; it will be an exciting addition to the visual character of the Downtown area, and offer a contemporary contrast to its surroundings with its sail-shaped form. 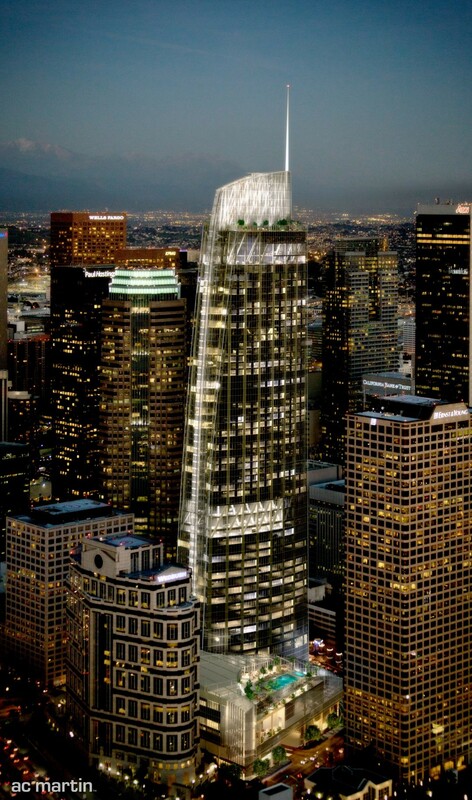 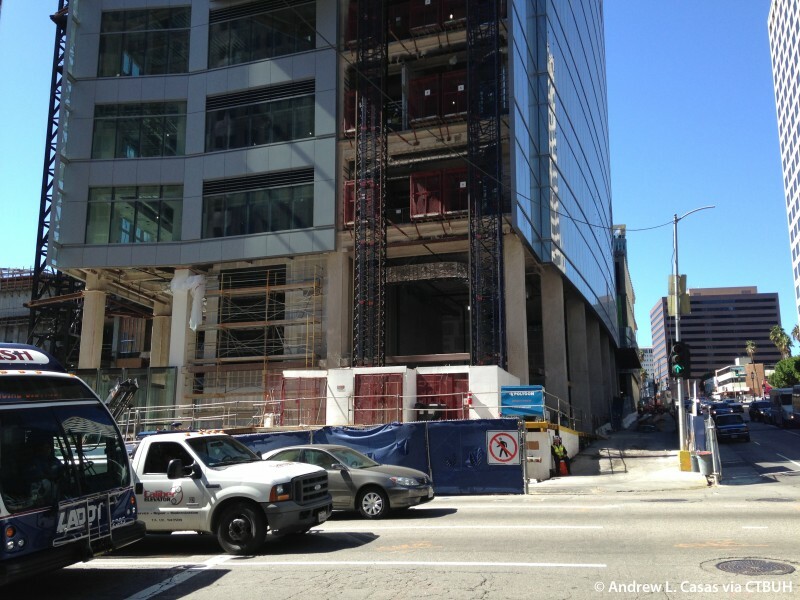 The development will boast luxury hotel rooms, restaurants, businesses, and nightlife options. 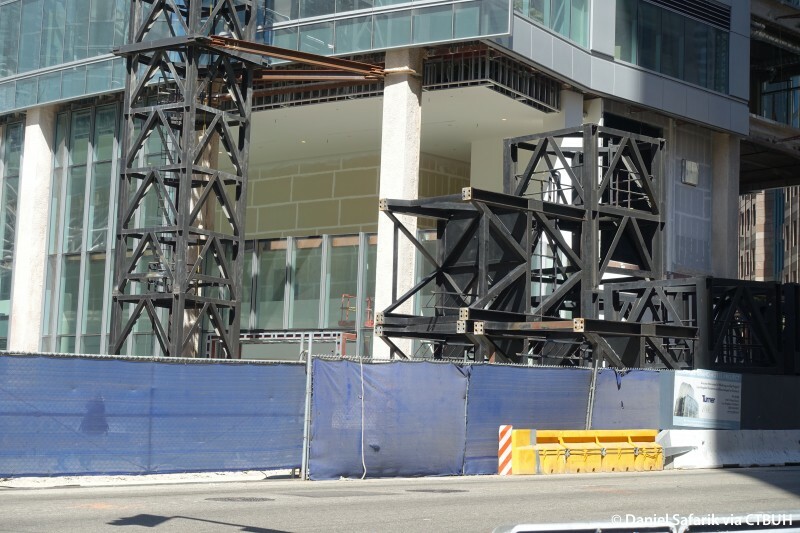 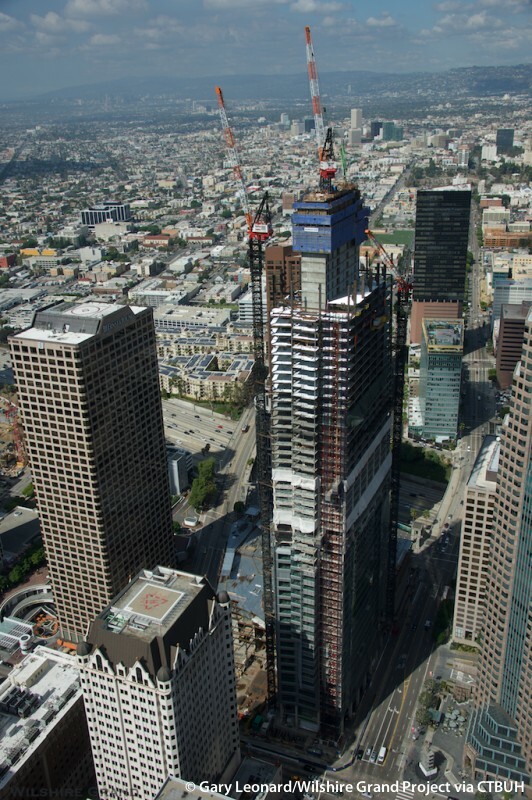 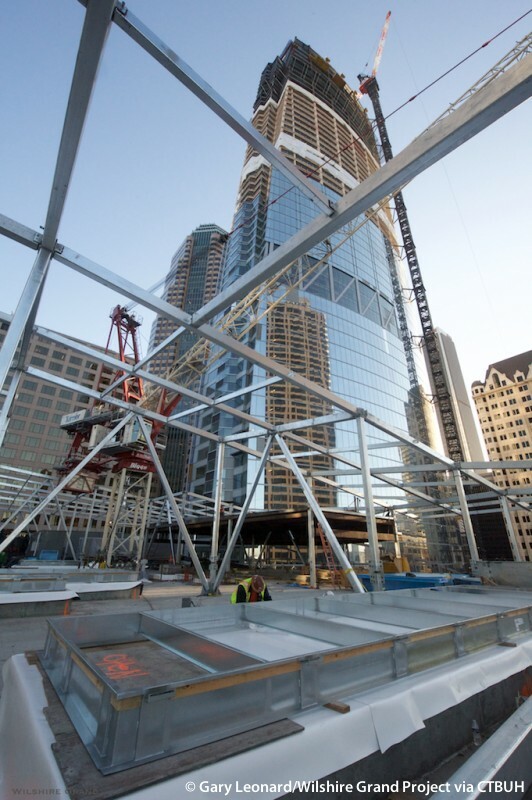 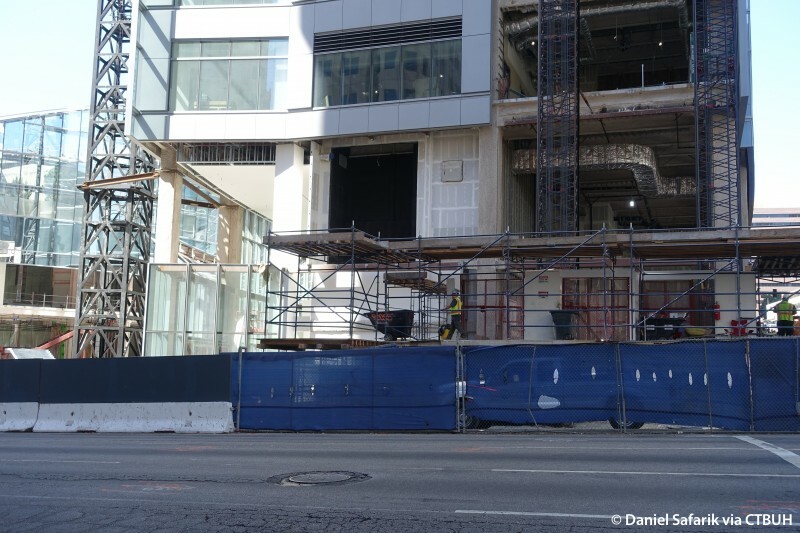 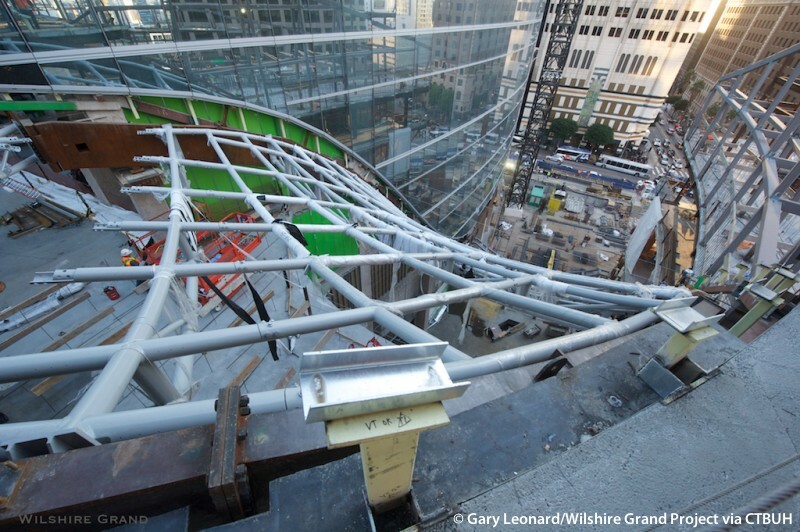 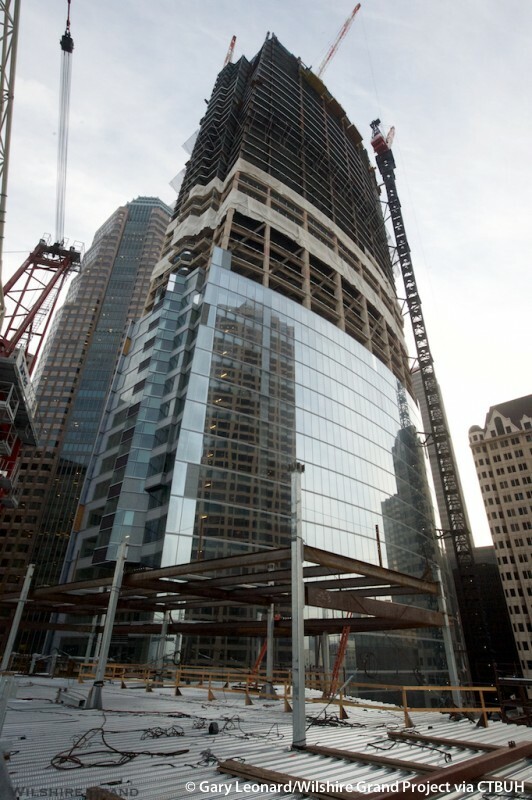 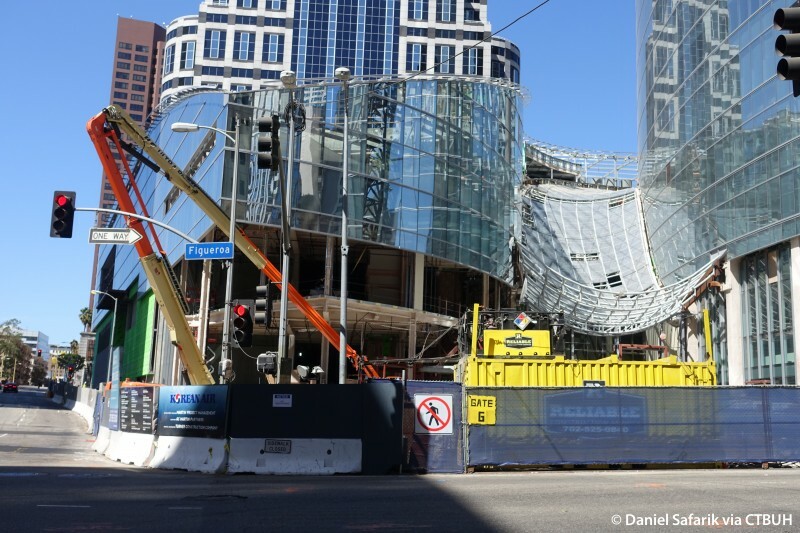 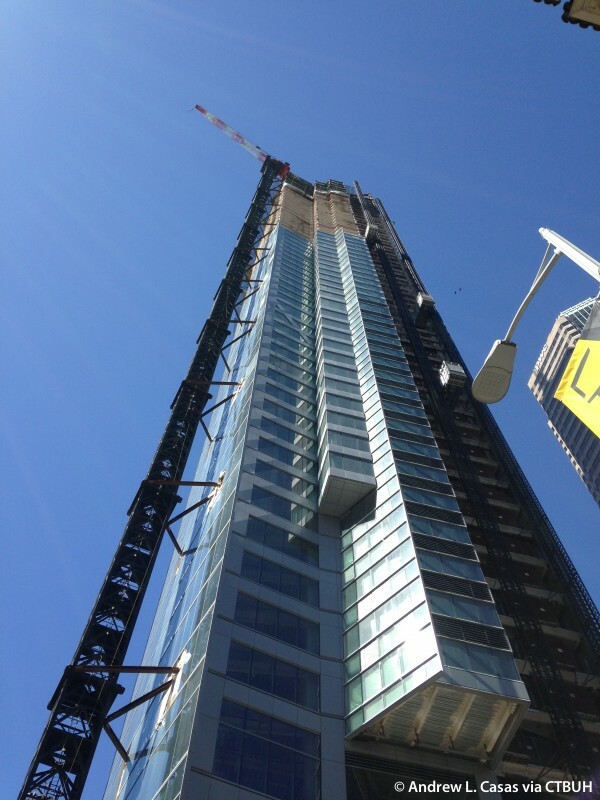 Topped with a curved roof that diverges from the traditional flat roof style of most tall buildings nearby, the Wilshire Grand Center will rise well above its surroundings. 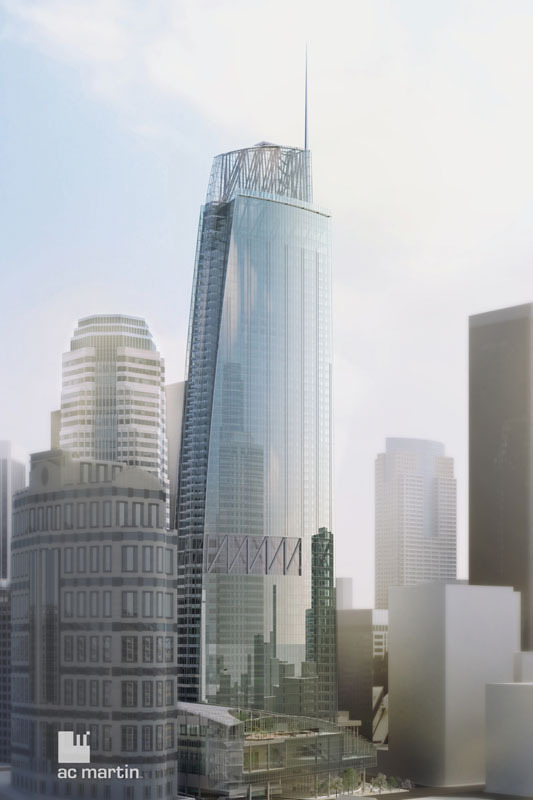 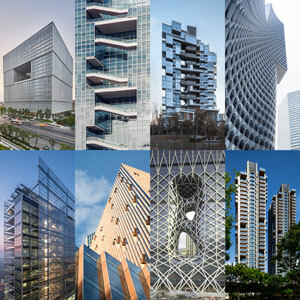 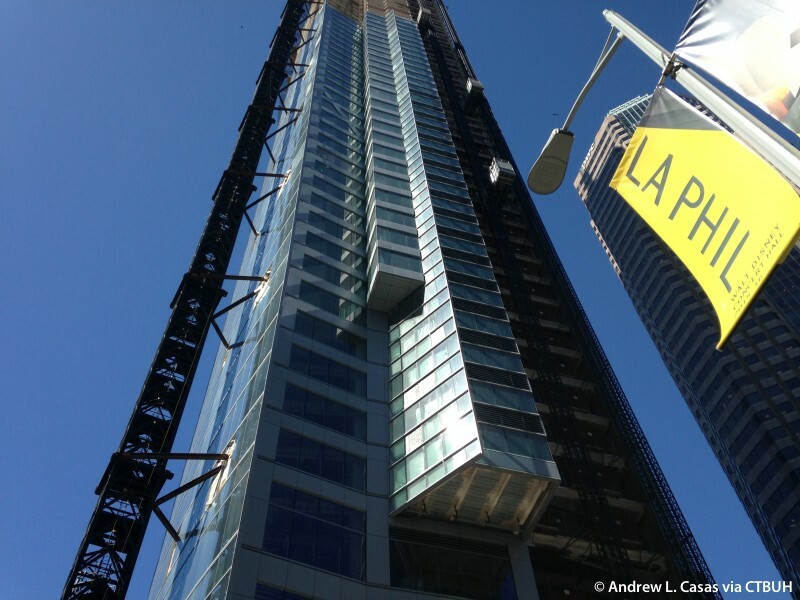 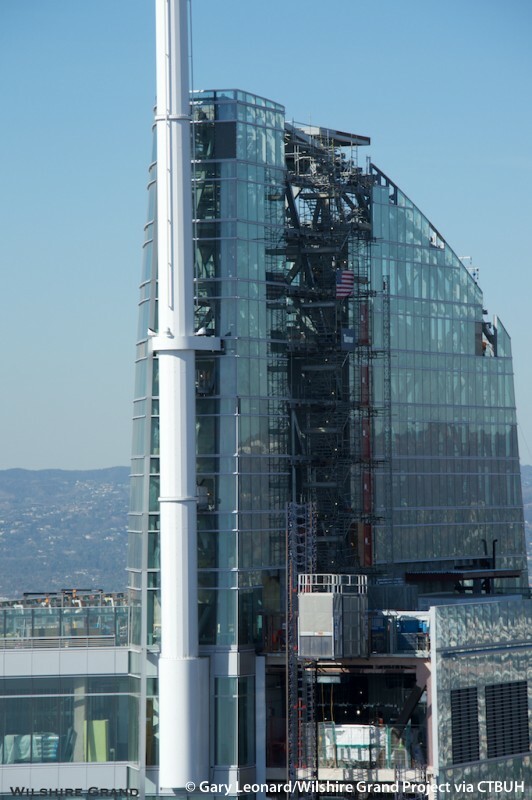 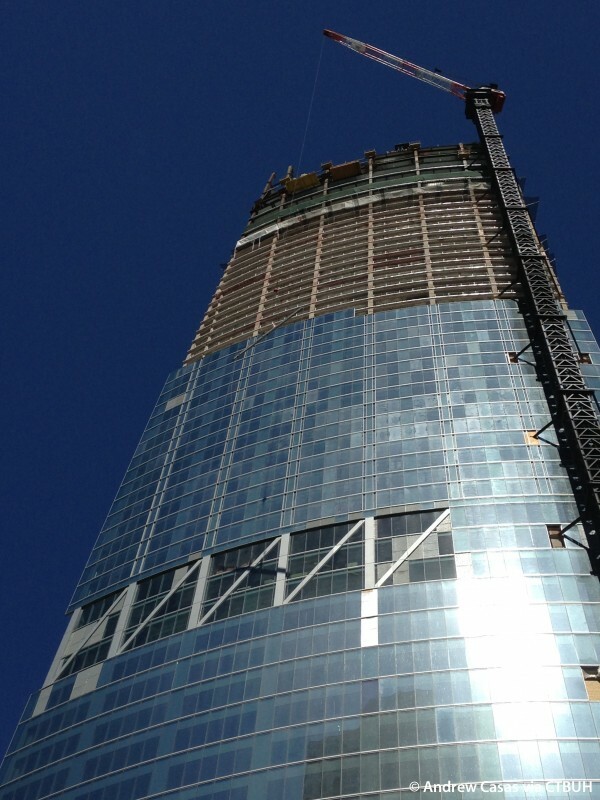 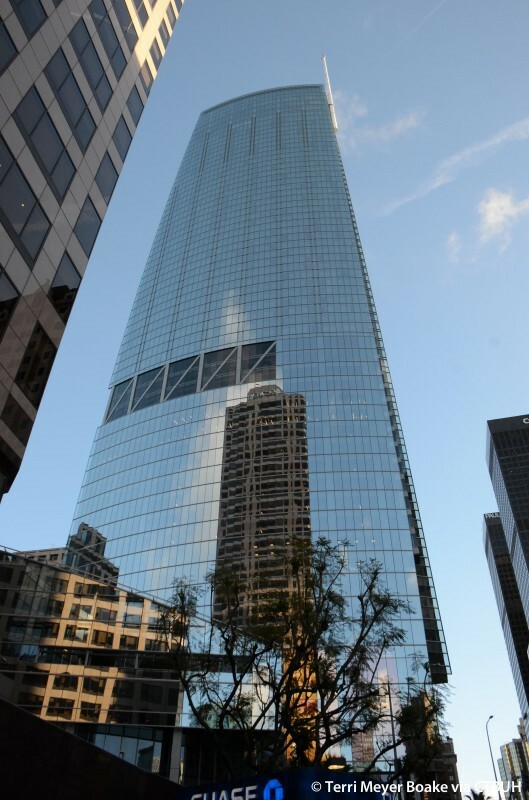 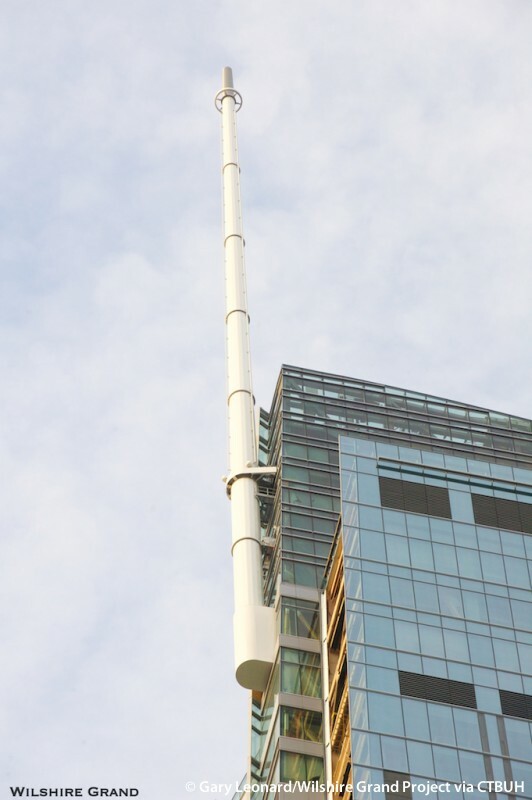 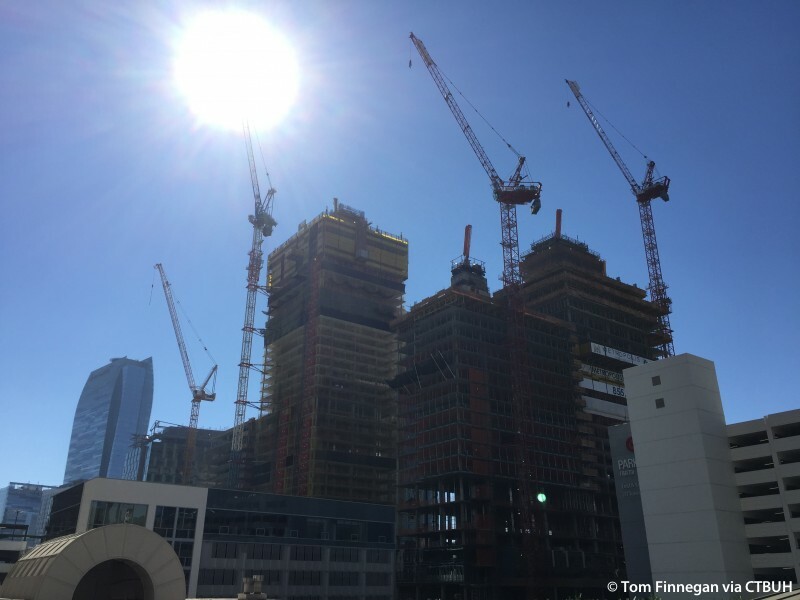 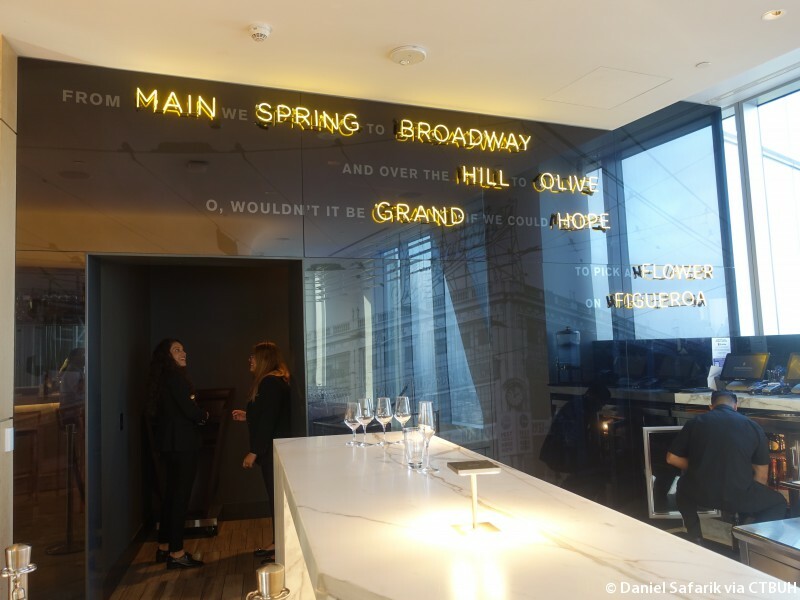 The tower is designed to be the tallest structure in the Los Angeles skyline, and will do much to add to the cultural and economic vibrancy of the neighborhood. 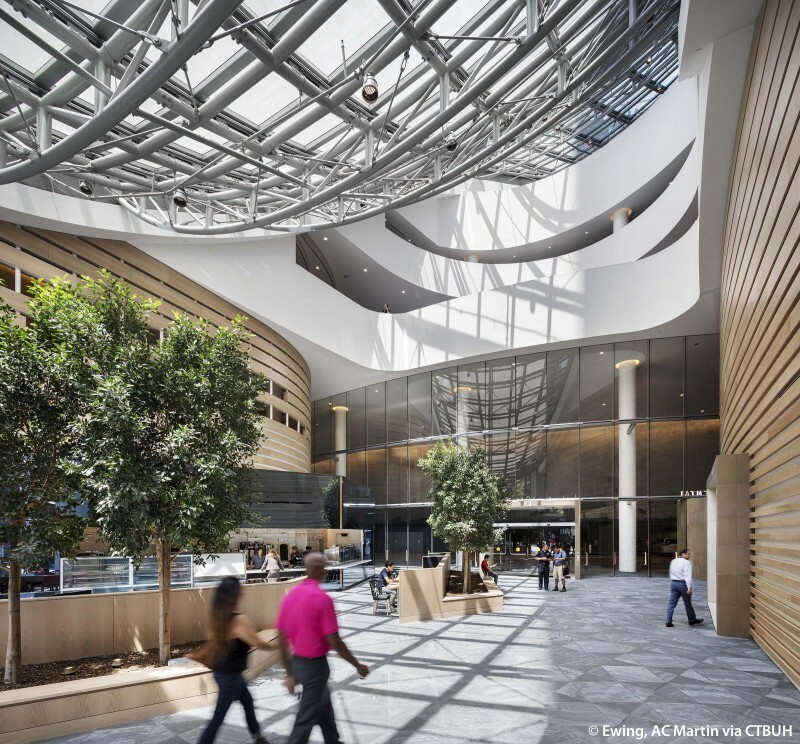 The project team strove to design a high-performing building that intelligently addresses the specific environmental issues facing Southern California. 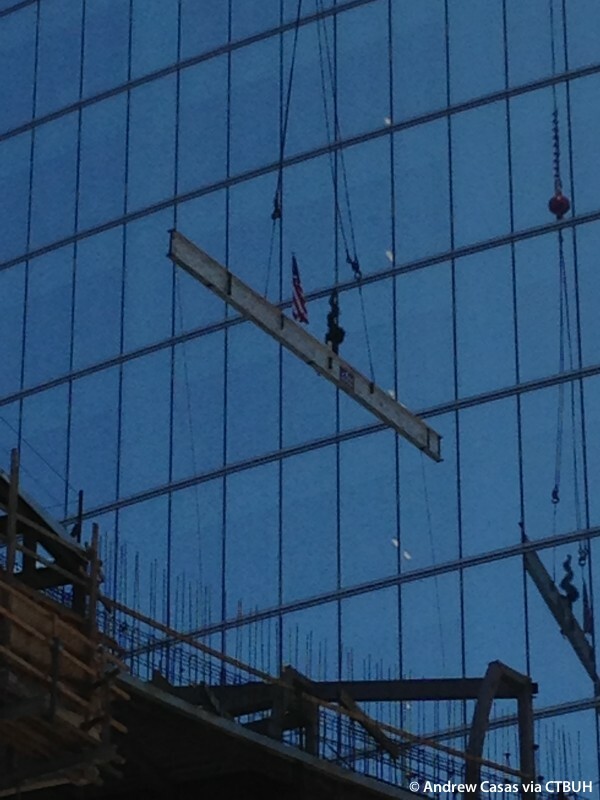 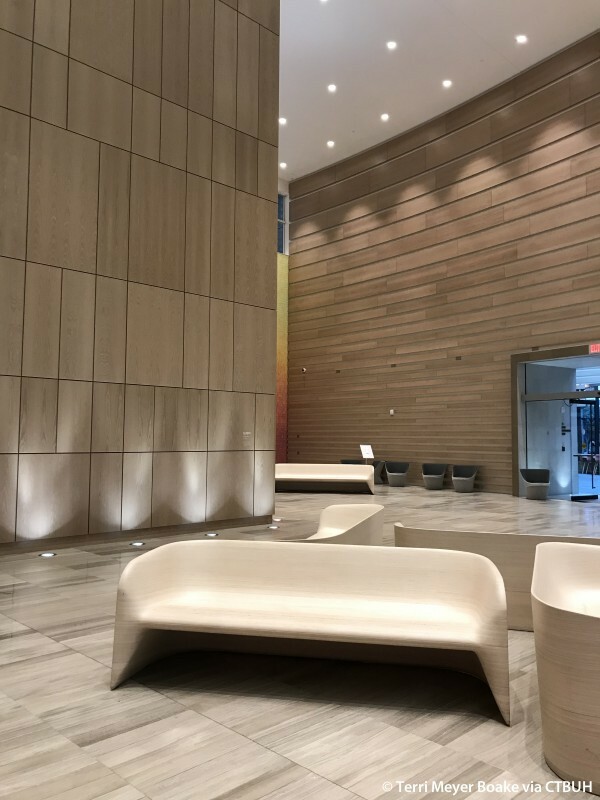 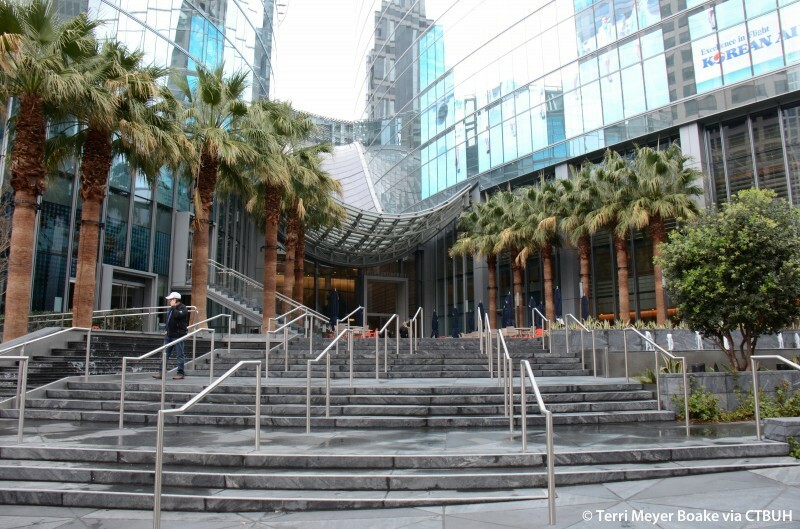 Architects and engineers employed the latest construction techniques and sustainability considerations to ensure that this project is built and operated in a way that is ecologically responsible, and will allow the building to achieve a LEED Silver certification. 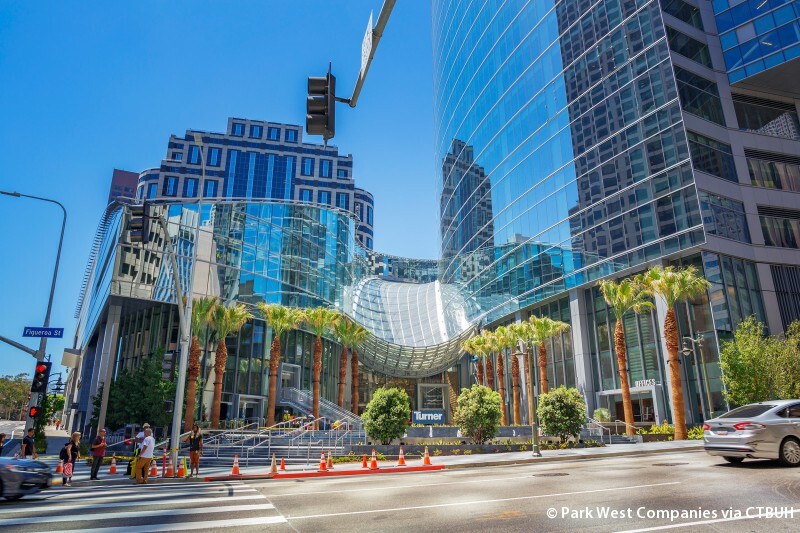 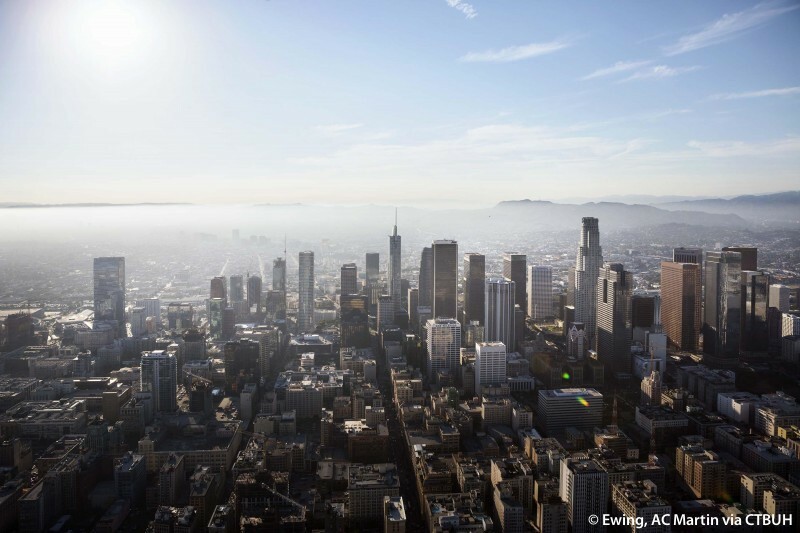 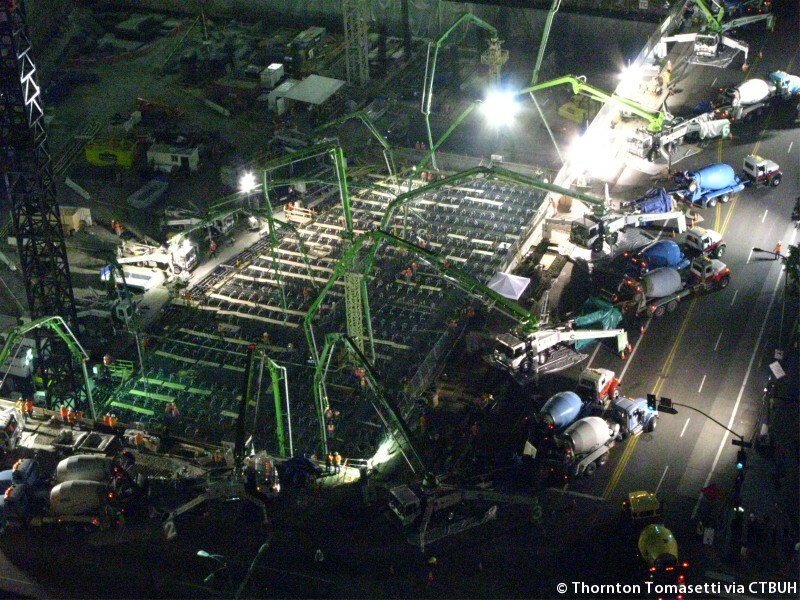 The design team worked closely with the City of Los Angeles to incorporate strategies such as thermal energy storage and the reuse of storm water in cooling towers. 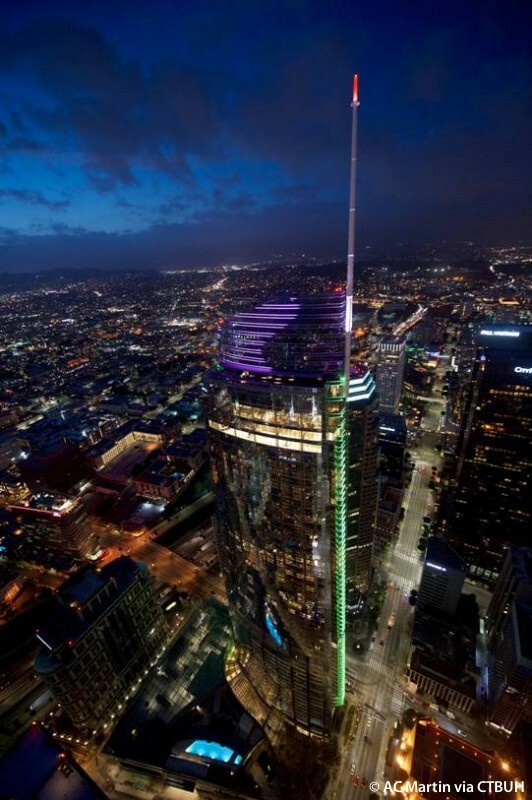 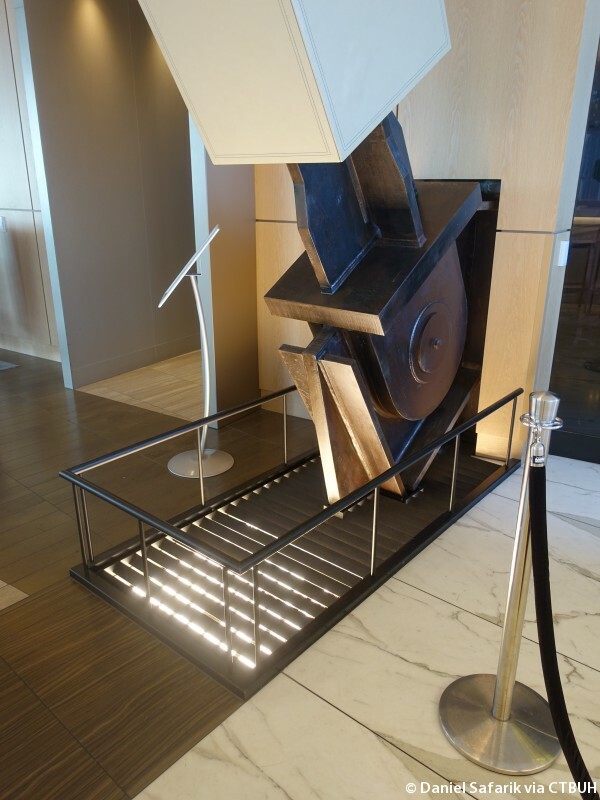 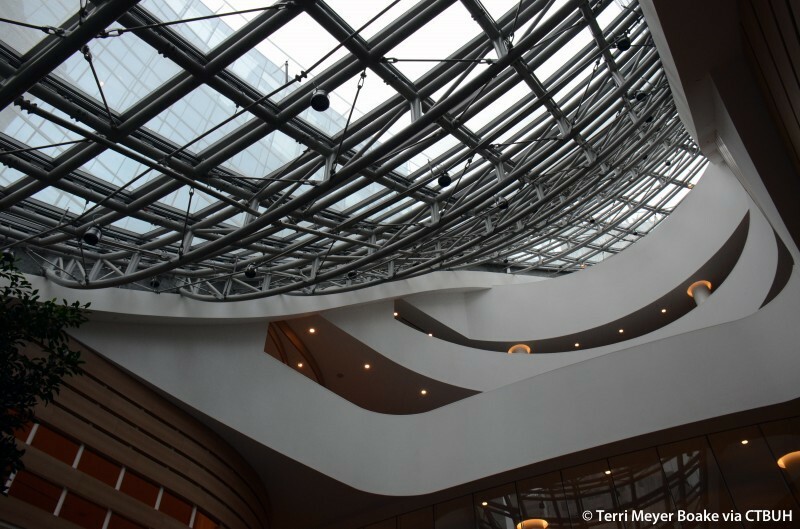 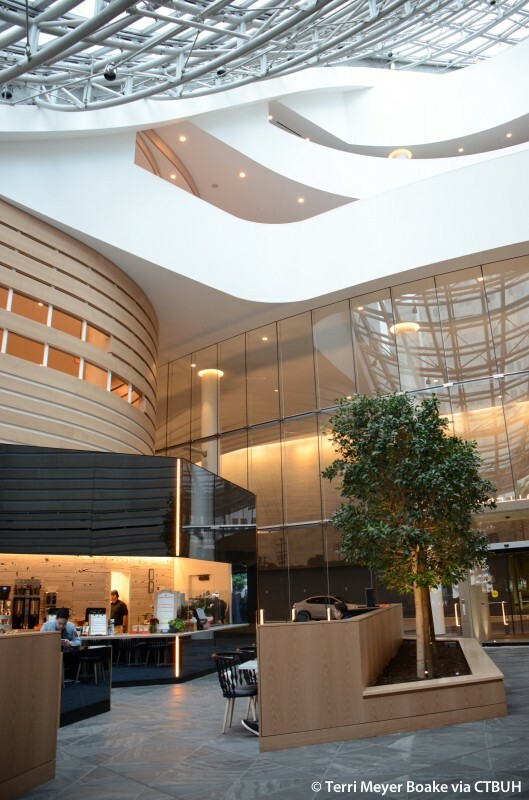 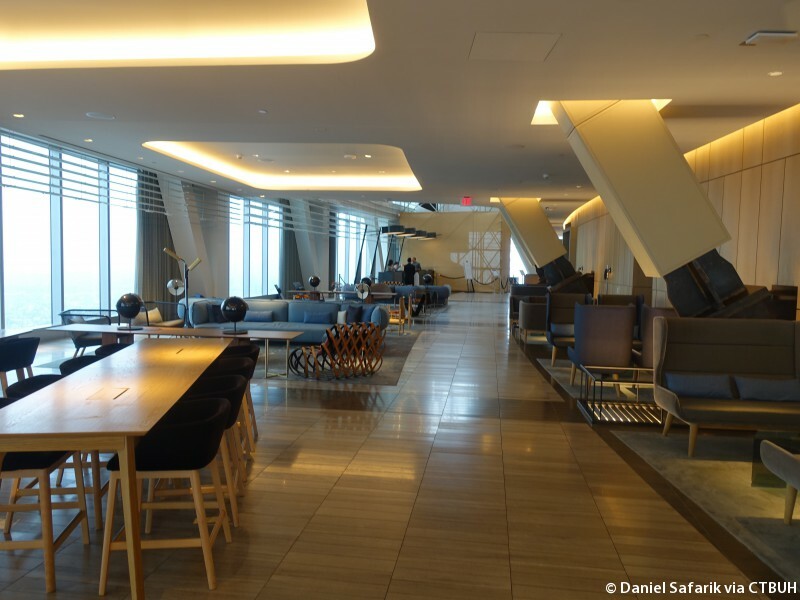 Innovative lighting and climate systems are also in place to significantly reduce overall energy consumption. 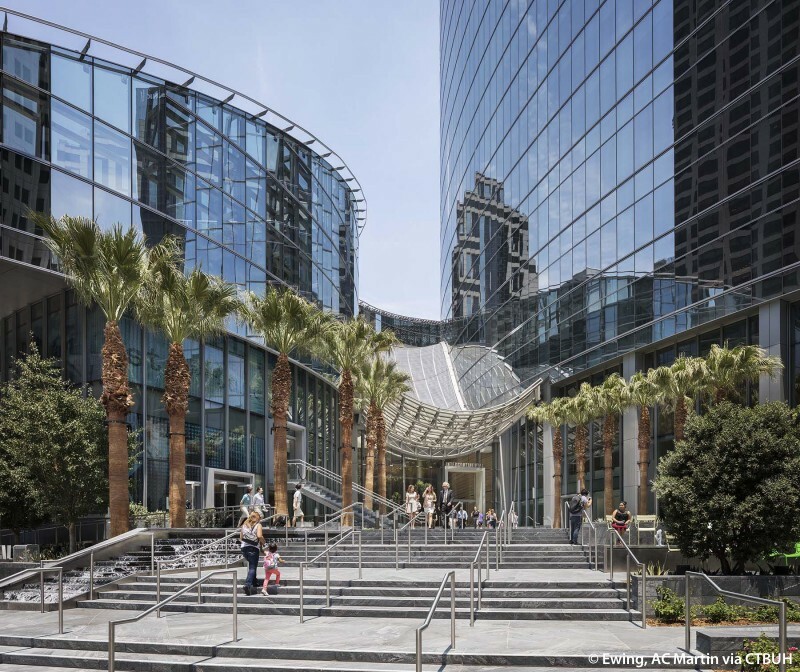 The city’s culture and climate are celebrated with a strong sense of indoor/outdoor relationships created at every practical opportunity. 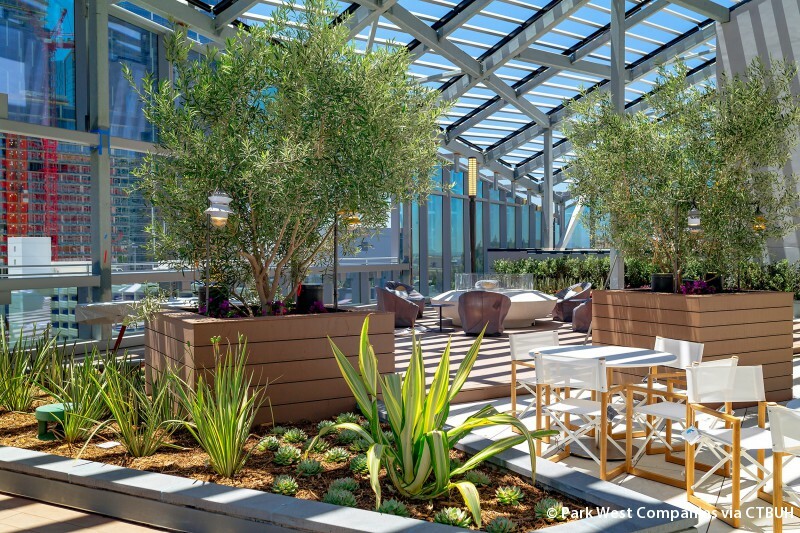 Ballrooms open directly onto gardens, the prefunction space extends to a terrace, pool decks are lined with cabanas, and outdoor meeting rooms encircle fire pits. 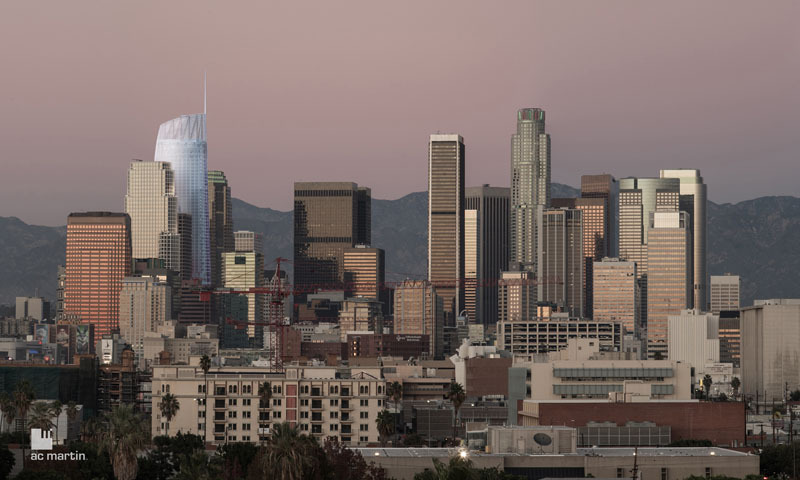 The hotel rooms and office space feature floor-to-ceiling glass to maximize the spectacular views of Santa Monica and the Pacific Ocean, the Hollywood Hills, and the San Gabriel Mountains.